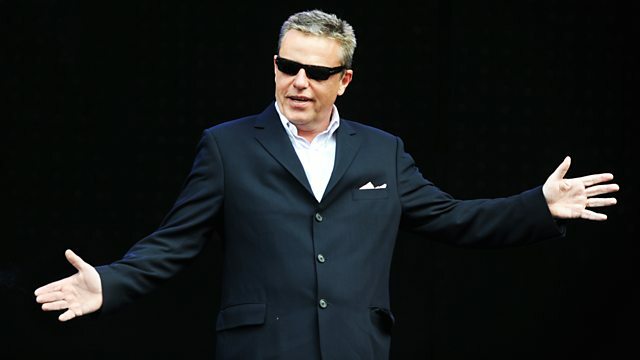 As the BBC makes its exit from Television Centre, Madness perform new material and classics alike, such as One Step Beyond, I Never Knew Your Name, Baggy Trousers and Our House. As the BBC makes its exit from the iconic west London site of Television Centre, BBC Four presents a special night of celebration of the building and its 53-year history. To kick start proceedings, the nation's favourite nutty boys and national treasures Madness take to the stage at the front of BBC Television Centre to perform an hour long concert in front of an assembled audience nine days before TV Centre closes its doors. To help launch this celebration of over 50 years of programme making at TVC Madness treat us to new material and classics alike, such as One Step Beyond, I Never Knew Your Name, Baggy Trousers and Our House. Michael Grade and many of the BBC's best-loved faces stroll down memory lane. Guitarist, singer and songwriter Richard Thompson plays a concert filmed in BBC TV Centre.